Indian Railways Catering and Tourism Corporation (IRCTC) has been working progressively for providing higher passenger satisfaction on the Indian Railways network with facilities including safety, sanitation, catering services, comfort, cleanliness and much more. To what it seems as a move against fraudulent vendors and the prominent issues with respect to overcharging, IRCTC has declared that customers shouldn’t pay for food purchased from the food vendors at the Indian Railways stations if they (vendors) were unable to provide authenticate bills. According to a Times of India report, the food should be given free to the passengers during their respective journey in Indian Railways, if the food vendors deny to produce a valid bill against all the purchases, further, IRCTC executives have been making announcements at the Indian Railways stations related to unauthorised vendors. IRCTC has launched the new initiative to reduce the numbers of unauthorised food vendors present at the Indian Railways stations and the diminish the complaints of passengers of getting overcharged by the food vendors, the TOI report said. Train passengers facing issues should file their respective complaints by approaching the designated train captains via phone numbers provided on the Indian Railways stations. "The IRCTC's wants more passengers to utilise its catering services without facing the risk of being overcharged or misled. This will also curb the unauthorised vendors," TOI reported citing IRCTC spokesperson Pinakin Morawala, adding, "passengers are being told that they should always buy food items from authorised IRCTC food vendors and demand valid bills. If the vendors do not provide bills, the passengers must, under no circumstances, pay." 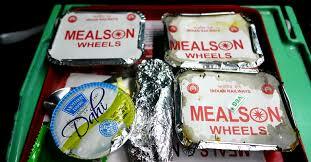 “The IRCTC has a fixed price of all the food items sold, including water. If the passengers start asking for bills, we will be able to ascertain if the vendor is from the IRCTC or not," the newspaper report said citing an unnamed IRCTC official.